Doris Crum Gibson Mason, 86, of Petal, passed away Sunday, February 3, 2019 at Asbury Hospice House. Visitation will be Thursday, February 7, 2019 at Moore Funeral Home in Petal from 9:30 – 11:30 a.m. with services immediately following at 11:30 a.m. Graveside services will be at 3 p.m. at Bethshan Memorial Park in Monticello. 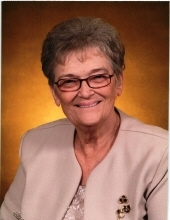 Mrs. Mason was an active member of Petal First Baptist Church and a lifelong member of Monticello Methodist Protestant Church. She was preceded in death by her first husband, William Gibson and her second husband, Ralph Mason. She is survived by one daughter, Susan Gibson Davis of Petal; two grandchildren, Steven Davis (Amanda) and Melanie Davis Blanton (Michael), both of Petal; five great grandchildren, Emma Davis, Madeline Davis, Bailey Blanton, Jake Blanton, and Carter Blanton; two sisters, Leona Crum Brown of Gonzales, LA and Neta Crum Casillas (Rosey) of Santa Monica, CA; and numerous nieces and nephews. In lieu of flowers, the family requests donations be made to the Petal First Baptist Church Mission Fund. To send flowers or a remembrance gift to the family of Doris Crum Gibson Mason, please visit our Tribute Store. "Email Address" would like to share the life celebration of Doris Crum Gibson Mason. Click on the "link" to go to share a favorite memory or leave a condolence message for the family.